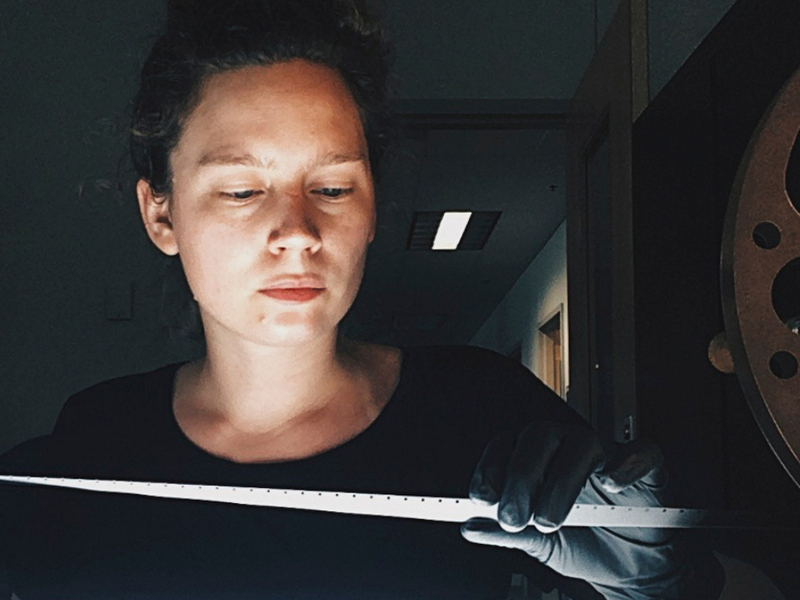 This post is contributed by SCARC student archivist Hannah Lawson, a chemistry major with a passion for art, conservation, and preserving history. Agricultural Chemistry has had a long standing presence at Oregon State University, as OSU was originally an agriculturally focused school. 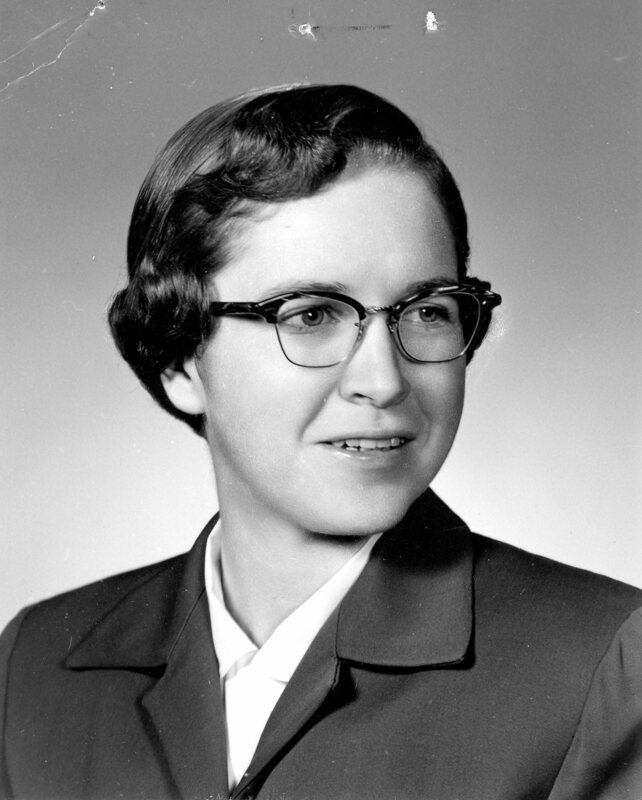 The history of agricultural chemistry at Oregon State University, and thus the history of woman in agricultural chemistry at Oregon State is similar to that of the Chemistry Department. While many female students took agricultural chemistry courses and earned undergraduate degrees from the department, few were involved in the faculty outside of instruction or research assistance. Ruth Simmons was a research assistant working in the department of agricultural chemistry. Clara Shoemaker, formerly Clara Brink, was the wife of David Shoemaker, the chair of the chemistry department from 1970 through 1981. She was born in The Netherlands and earned her Bachelor’s degree in chemistry at the University of Leiden. Her doctoral studies were continually put on halt due to the Second World War, but eventually Clara received her PhD in 1950. During her graduate program, Clara was introduced to x-ray crystallography and the study of inorganic structure chemistry. After a few years of abroad study in England, Clara eventually traveled to the United States to work alongside David Shoemaker at MIT. The two would eventually marry, forming a husband-wife chemist duo. 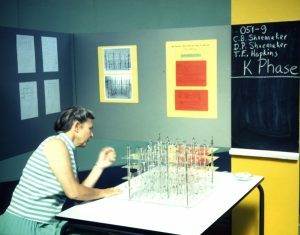 At Oregon State University, Clara conducted research on heavy metal transition phases, particularly close-packed tetrahedral structures alongside Ken Hedberg. Hedberg’s wife, Lise, was also a research professor at Oregon State University who worked alongside David. This arrangement was to avoid the nepotism rules in the department at this time. After these nepotism rules were abolished, however, Clara resumed her work alongside her husband until their retirement in 1984. Almost identically, Lise and Ken Hedberg were a married chemist pair who researched alongside each other in branches of computational and physical chemistry. Though retired, both are still alive and continue to perform research and advising at Oregon State University. 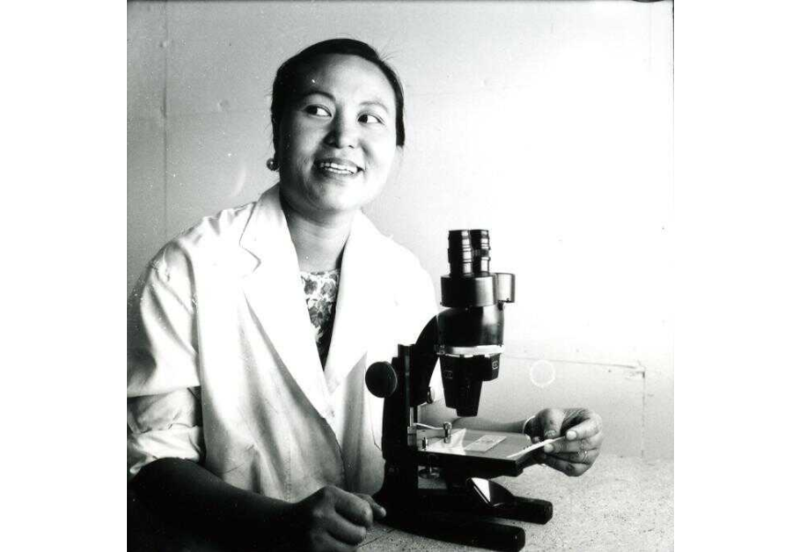 Te May Ching was a professor in the botany department at Oregon State University from 1958 to 1988. While not directly involved in the chemistry department, Ching was extremely involved in the success and expansion of women in STEM, both nationally and on campus at Oregon State University. She regularly kept in touch with female faculty members from other science departments, and was a member of Women in Development, a group dedicated to furthering education and information on women in developing countries. Additionally, Te May Ching was a member of the Association for Women in Science, a group that discussed the experiences and issues that come from being a woman in a professional scientific field. Ching was known for being a mentor to young women in science, and has undoubtedly had a part in the development of women in science at Oregon State University. Many women were involved in the chemistry department through secretarial positions in the office or in the stock rooms. 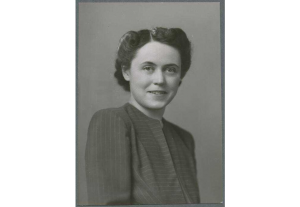 Yvonne Fossum worked as a stock room clerk from 1938 until her retirement in 1972. In the early 80s, the Niobium Chapter of Iota Sigma Pi, an honorary sorority for women in chemistry was established. While short-lived, the presence of Iota Sigma Pi on Oregon State University’s campus demonstrates the capacity of female chemistry students to form communities to help one another. Today, chemistry at Oregon State University is definitively more diverse than it has ever been. Much of that can be attributed to the outreach programs offered at various local public schools and on OSU’s campus. Precollege programs expose young female students to scientific research and careers they might have never considered before, and the popularization of famous and revolutionary female scientists like Marie Curie and Rosalind Franklin offer these young women a glimpse at what is possible in the field of chemistry. While the ratio of men and women in the chemistry department is still skewed (especially in regards to professorship and tenure), there are many faculty members, instructors, and students who are women. It is impossible to observe the history of women in science at Oregon State University without also addressing the barriers that have kept women out of science for tens of decades. While there was never any formal restrictions keeping women out of chemistry programs or professional careers, there were certainly social restrictions. Rural Oregon in the 20th century was unfortunately not as diverse as the Oregon State University campus is today, and many women felt confined to more domestic programs, like home economics or education. The Chemistry Department at Oregon State University owes its diversity and progression to the women who paved the way for those who came after them; whose passion for science and discovery allowed them to advance in a field where they were not always welcome. As a science and as a profession, chemistry can only benefit from a myriad of scientists whose backgrounds and identities are varied. The future of scientific advancement is dependent on this diversity, and as the Chemistry Department develops further, it is important to remember its’ history, and how the environment the department provides for its faculty, researchers, and students can be improved for generations of chemists to come. This entry was posted in Main Page on October 25, 2018 by dvoraka. We’re looking for an intern to work with our collections archivist on an architectural drawings inventory and appraisal project! 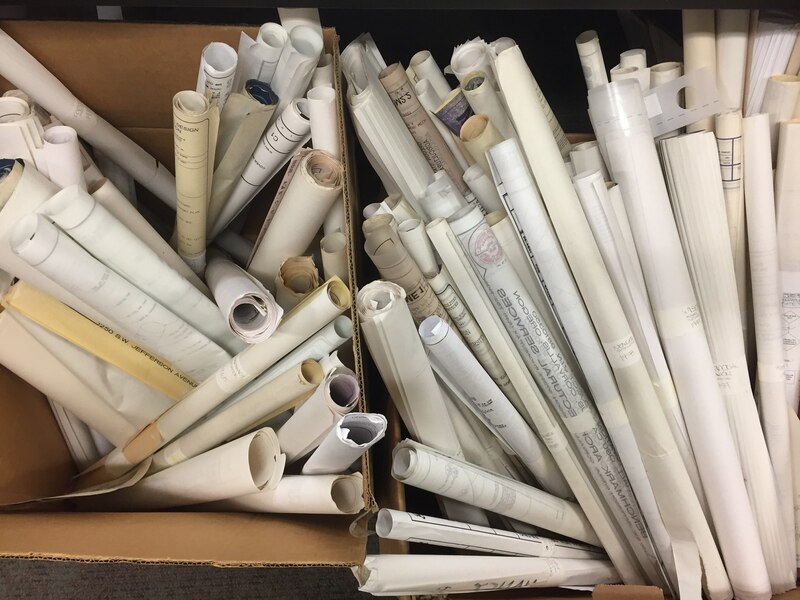 Working with the SCARC Collections Archivist, this intern will appraise, inventory, and preserve architectural drawings for campus buildings and structures. Transferred from Facilities Services, this collection of 100-200 drawings created from 1920 to 1990. As a part of this internship, you will learn how to assess informational and evidentiary value of a document, appraise archival materials, and gain processing and description skills. There will also be opportunities to share your work or discoveries through blog posts, social media, or events. There are two main stages in this project. Orientation to SCARC collections, with special focus on other processed collections with architectural drawings. 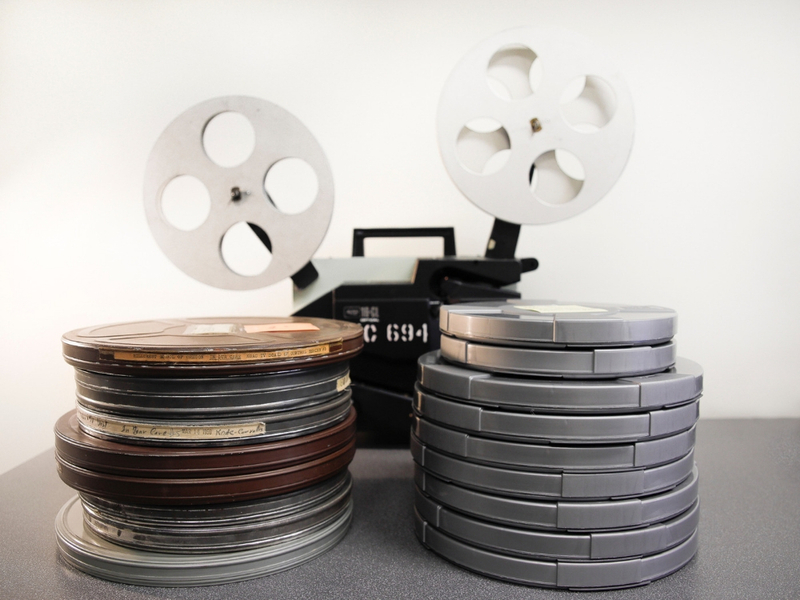 Learn basic principles in the evaluation and appraisal of archival material. Review and make recommendations for the deaccessioning of drawings based on appraisal criteria. After initial appraisal, create project workflow to track the drawings in the process of being weeded, preserved, and stored. 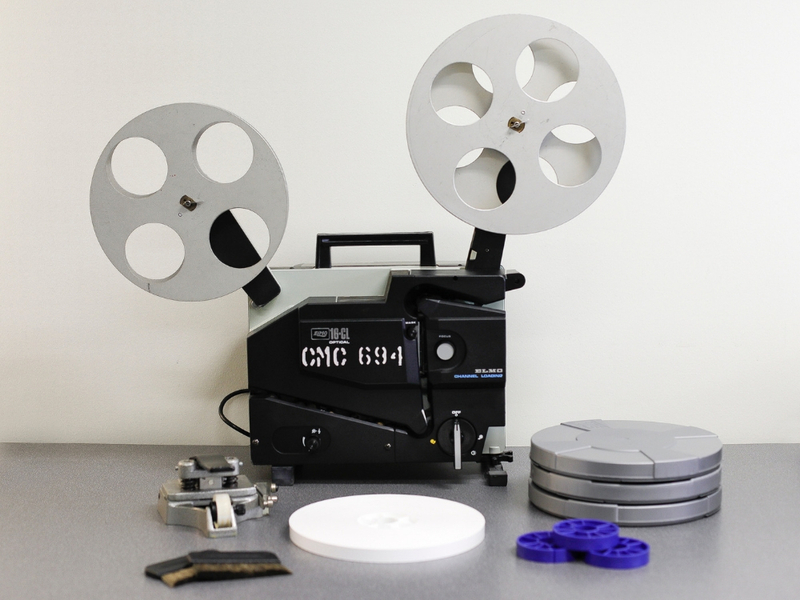 Learn about best practices for preservation and proper storage for oversized materials. Hands on practical experience with preservation. Internship Time Period: Winter and/or Spring Terms, 7-10 hours per week. It is unpaid, but can be done for course credit. Interest in building construction, university history, architectural evolution, paper materials preservation is preferred. Writing sample, 2-3 pages (can be something you submitted for a class assignment). What do you hope to gain in an internship with SCARC? Describe the coursework, subject interest/expertise, and skills that make you a good match for the internship project. Completed applications should be submitted to Tiah Edmunson-Morton, SCARC Student Internship Program Coordinator (edmunsot@oregonstate.edu). The SCARC Internship Program is intended for students, both undergraduates and graduates (OSU and non-OSU), to have an immersive experience in understanding the full workings of an academic special collections and archives department. Intern(s) will work on one or possibly two main projects, while also experiencing the various functions of the department (i.e. job shadowing, meetings with staff members, attendance and participation in relevant meetings). This entry was posted in Main Page on October 23, 2018 by edmunsot. 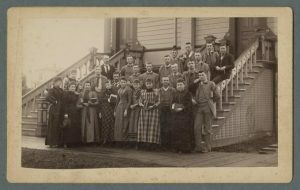 In the early days of Oregon Agricultural College, an education in the basics of chemistry were a requirement for all students. Prior to 1900, no chemistry degrees were awarded, as there was no specific program for chemistry. While nearly half of the students enrolled at Oregon State University were women, few were science majors. Several women earned degrees in sciences related to agriculture, however the majority of women who earned Bachelor’s degrees in the 19th century at Oregon Agricultural College focused their studies in home economics. Many women became interested in chemistry through courses offered in the home economics program, in which basic reactionary chemistry was taught in the context of household solvents and reactions. The schools of pharmacy and chemistry became separate departments in 1909, under which time John Fulton was the Department Chair. With a dedicated building and more funding, the department of Chemistry at Oregon State University could now focus on expanding their resources to attract new chemistry students and faculty. Female involvement in the chemistry department at this time was limited to chemistry courses and instruction through household science programs. Only a few women graduated with higher degrees in science at this time, although many were indirectly involved in chemistry through agricultural chemistry programs or food science and technology. The women who were directly involved in the chemistry department through instruction, research, or stock room maintenance as staff or faculty often never stayed in the department for more than a few years. The Chemistry Department at Oregon State University during these years was small and somewhat homogenous. Linus Pauling, Oregon State’s esteemed Nobel Prize-winning alum, graduated from Oregon State University in 1922. During his time at Oregon State, he taught a chemistry course for home economics majors where he met his wife of 58 years, Ava Helen. The 1930s through 1960s marked a progressive time in the world of chemistry. New discoveries were being made due to the revolutionary new technology at the time, and with the advent of the modern analog computer, computational chemistry was expanding. While there were a few chemistry instructors and researchers who were women at this time, there were no female chemistry professors. Ruth Parkinson and Lillian Olsen were chemistry instructors during this time. The 1930s through 1960s represented a turbulent time in American history, as it spans two major wars. However, this time is also representative of change, and the inclusion of women in the chemistry department at Oregon State University shows the changing attitudes towards women in STEM fields. As the field of chemistry expanded, as did the diversity of individuals within the field. The chemistry notebooks of Mary Spike, who was a pharmacy major in 1934, showcase the nature of chemistry at this time. The material taught in her general chemistry classes were simultaneously in depth, yet lacking in more modern chemical knowledge, such as the neutron and radiation, which are common aspects of chemistry courses nowadays. Mary Spike’s scrapbooks are filled with materials and keepsakes from her sorority, Sigma Kappa. Ultimately, Mary Spike’s collection shows us that a female chemistry student is just like any other, concerned with academics, social life, and her future in science. The first PhD in Chemistry at Oregon State University was awarded to Karl Klemm in 1935. 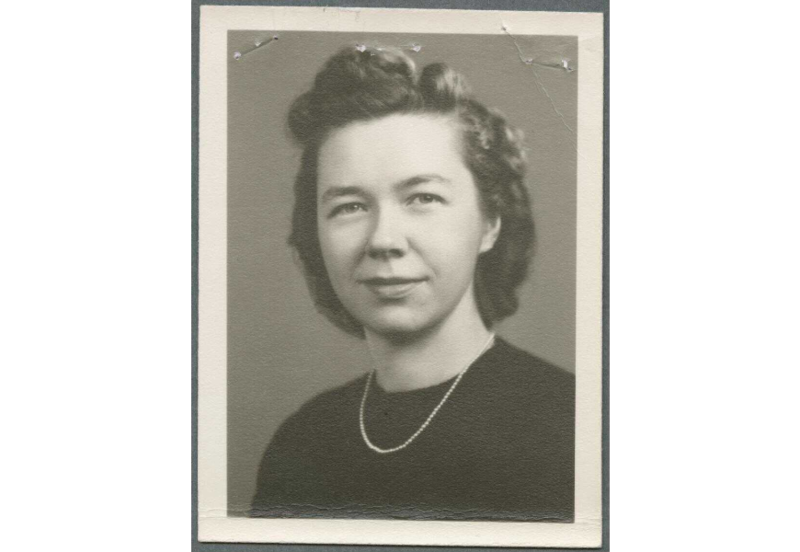 The first PhD in Chemistry awarded to a woman came 25 years later, according to the commencement programs at the Special Collections & Archives Research Center, to Marian Elizabeth Hills. 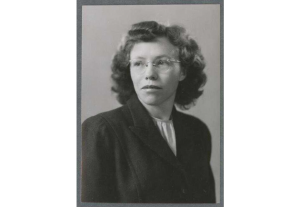 However, the first PhD awarded to a woman at Oregon State University was in 1941, to Chuang Kwai Lui, who earned her doctorate in Physics. This entry was posted in Main Page on October 18, 2018 by dvoraka. A chance to celebrate history in a tasty way! October 31st will be our 12th annual celebration of historic flavors in our “Taste of the ‘Chives-Recipe Showcase” event. This year we’re looking for inspiration from archived recipes for baked goods-breads, cakes, cookies, and the like-for a fun noontime hour of food sampling! Mix together the ingredients in the order given, drop the batter by the spoonful on a greased baking sheet, and bake for 15 minutes in a moderate oven. Other offerings include: Pumpkin-Cornmeal Dodgers, Cheese Gingerbread, and Raspberry Cake. Find these and others here! This entry was posted in Main Page on October 4, 2018 by dvoraka.